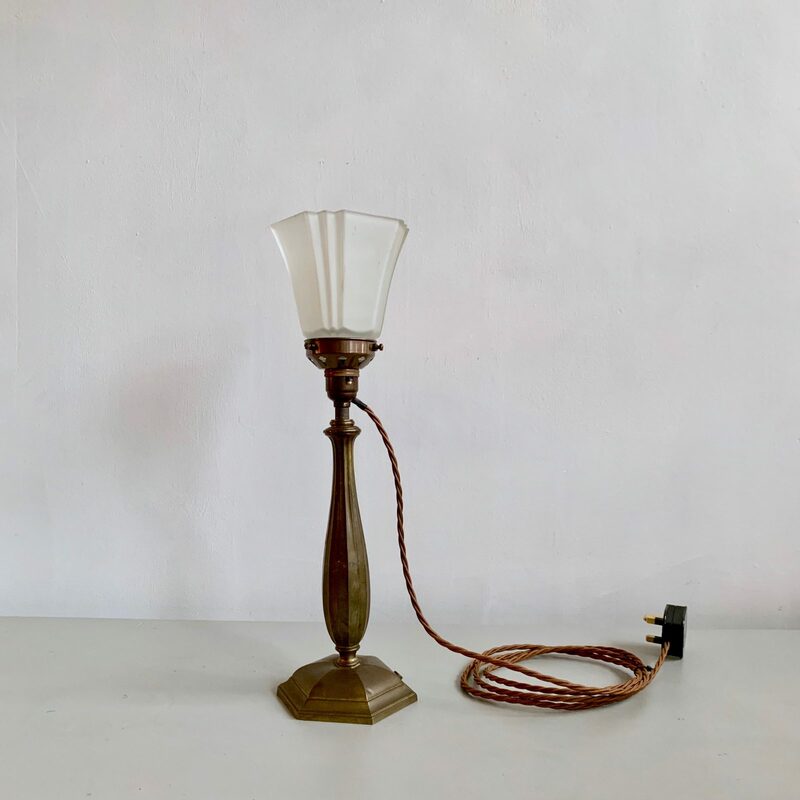 A naturally aged brass table lamp in excellent condition. Wired to British standard with light brown braided flex. Shade not included. Can be purchased seperatley. Measurements of lamp base without shade.